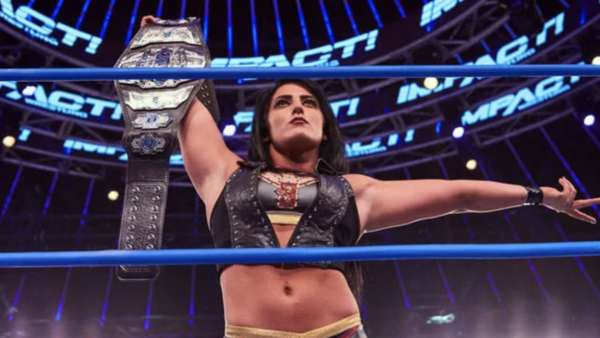 Long considered one of the most impressive women's wrestlers not under WWE contract, Tessa Blanchard's Impact Wrestling excellence continues proving Vince McMahon and Triple H wrong for passing on her. Blanchard has found her niche. A scowling, domineering heel, she has evolved into one of game's most effective villainesses. Tessa is brash, cocky, and headstrong, and her personality compliments and imperious ring style increasingly based around power and control. Matches with the likes of Taya Valkyrie and Su Yung have yielded excellence, and were once Blanchard's image was of a troublesome backstage presence coasting on lineage, 2018 has seen her evolved into a potential headliner who's fast catching up on even WWE's top performers. The scariest part? Blanchard is 23 years old. Four-and-a-half years is the extent of her experience, yet she commands the ring like a veteran. Imagine how good she'll be when she is a veteran herself. A fresh Impact deal signed in July keeps her tethered to the promotion until 2020. It's a shame she isn't already plying her trade in a bigger spotlight, but their relationship has been mutually beneficial, and Blanchard's vanguard role will continue in 2019.